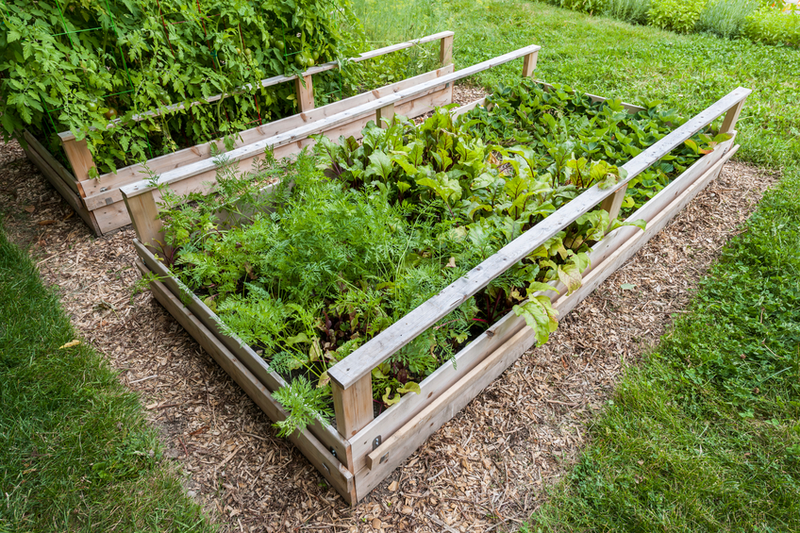 Turn your backyard into the farm of your dreams with raised garden beds! Raised garden beds are the hottest trend in horticulture right now. Also called “garden boxes,” these gardens are great for growing small rows of vegetables and flowers right in one’s backyard. Because they are customizable depending on gardening desires, they can be made to suit any size of land. And best of all, since they are not permanent, when the home is sold, if the new owners don’t want to keep the garden bed up, they are easy to remove. The sides of the beds keep soil from being eroded or washed away. They offer ease of accessibility to reach each plant. It’s relatively easy to build your own garden bed and can even be completed in one weekend, especially when using a kit from a home improvement store. Materials such as corrugated metal and cinder blocks have been used, but wood is the most highly recommended. 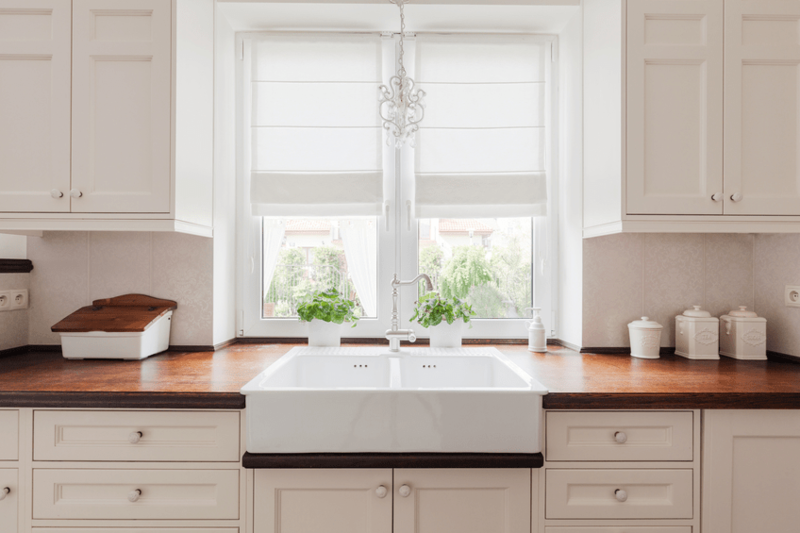 Cedar wood is the top choice because it is naturally rot-resistant. You can expect a well-constructed cedar bed to last roughly 10 years. The height of your bed can be up to 36 inches with the most common height being 11 inches (the height of two stacked boards). Keep in mind that the higher you build, the more soil you will need and the more weight will bow your sides. For this reason, cross supports are recommended for beds taller than 18 inches and/or longer than 6 feet. A 4-foot-wide bed is the most common because it’s easy to reach the center of the bed from either side. By keeping the width narrow, you avoid having to step on the bed and compress the soil. The bed can be any length, with cross supports at every four to six feet along the length of the bed to prevent bowing. Soil depth should be considered for the roots of the vegetables you are planting. Depending on the soil conditions in your yard, you may want to build the sides of your bed higher for crops that need more root space. Build your beds to lay facing south on the horizontal. Turn your ground before building on it. Lay hardware cloth if you have burrowing pests. Mulched pathways between beds should be wide enough for a wheelbarrow. Well-built and maintained garden beds are aesthetically pleasing and can even attract potential buyers. Whether in full flourish or between seasons, cleanly tilled and maintained garden beds are attractive all year long. 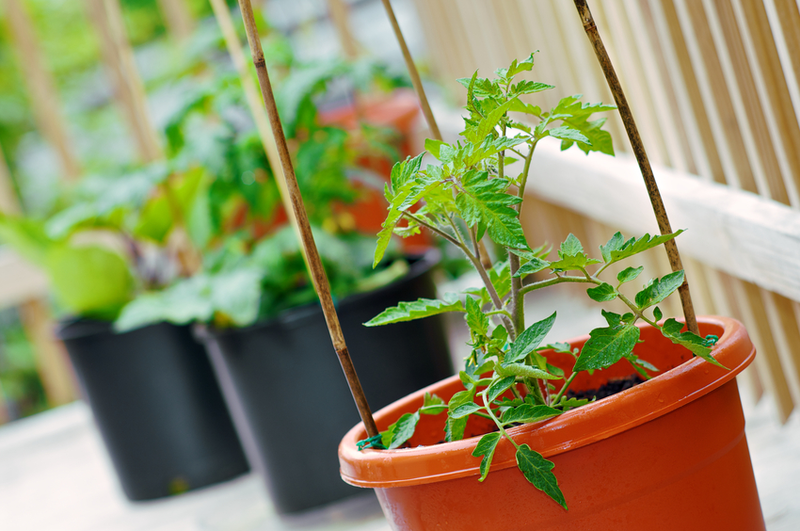 Tips for Apartment Dwellers – You Can Have a Garden Too! Raised garden planters bring the garden to your balcony or porch. Garden boxes come in various sizes, types and styles. Unlike garden beds, planters have slatted bottoms and are generally smaller in size. They are especially useful for flowers, herbs and vine vegetables.